Wedding season is officially among us, so I thought I would give y'all some outfit inspiration! When in doubt, I always go for a cute off-the-shoudler dress. 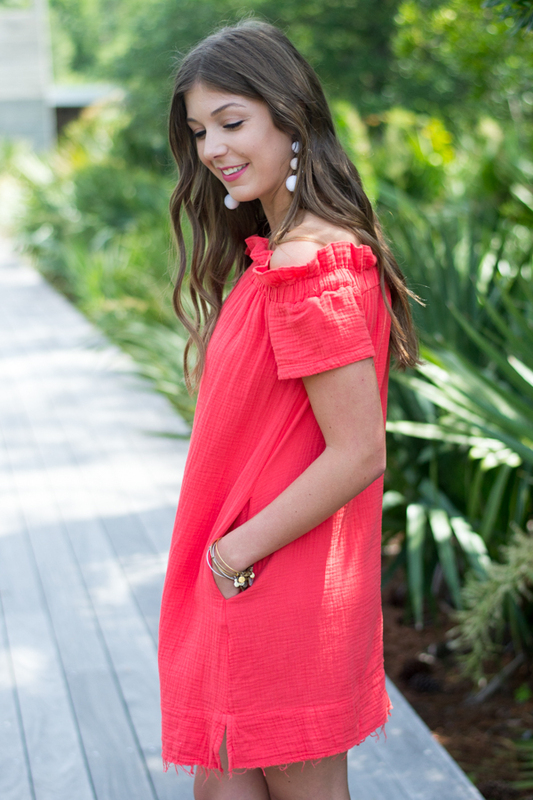 This dress is super cute with the ruffles and frayed hem... and not to mention is has pockets!! It comes in four colors and is under $120! And you really can't go wrong with a pair of strappy heels! The pair I'm wearing is under $30 and comes in three colors! Now on a different note- For all you ladies that have your significant other take your pictures like I do, I know you will feel my pain. Don't get me wrong, I am so thankful for Cab for taking my pictures, and he does a great job!! But one thing he's not great at is paying attention to the details. I've had my necklace on backwards before, and in today's post it kills me that my purse is folding over the ruffles on the hem haha. Haha oh well, it is what it is! This dress is absolutely gorge!! 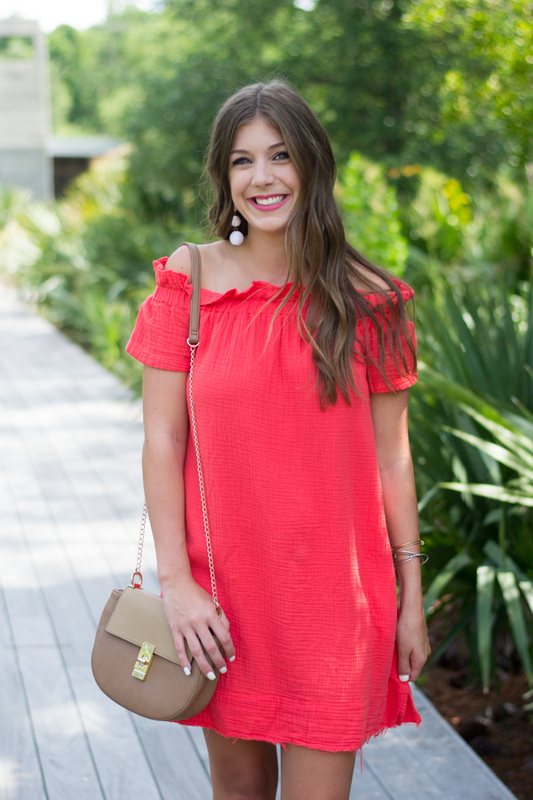 I mean, I love ANYTHING off-the-shoulder and that color is so pretty! Oh my gosh, I love the red! Plus the white earrings, you have such a cute look. Who knew Target had the cutest darn shoes?! This dress is so pretty and you look so good in it. I just bought a dress like this in a metallic rose gold. Thanks for giving me tips how to style it. Any dress with pockets is always a win for me! I love the bright color of this dress. Total outfit is a win! I absolutely love that dress; I totally think I need it. Also, great minds think alike! Just shot some looks a few weeks ago for a summer wedding post too! 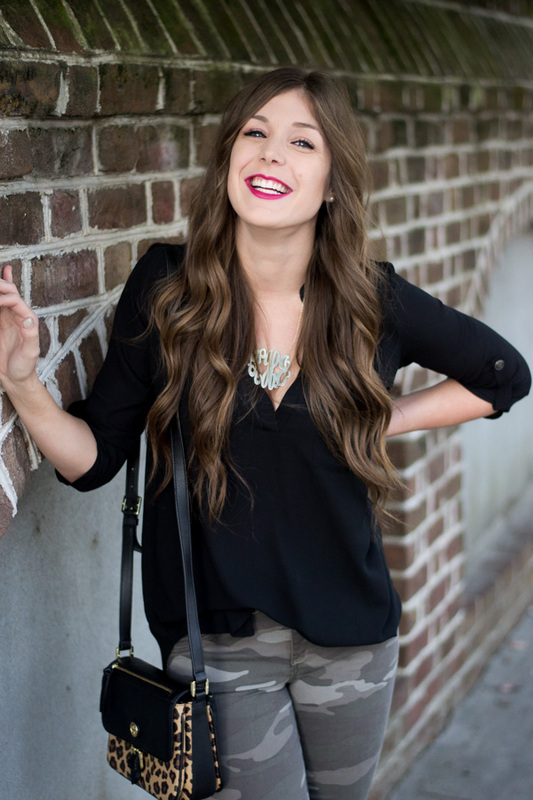 Loved seeing how you'd style an outfit for a wedding! The red is so your color! It sure does look 1000% summer, and is so cute with the earrings. This is the perfect dress for a summer wedding! I love that bright and fun color! This color is so pretty on you and I love that it has pockets! Girl I totally hear ya on the photography frustrations .. my brother used to take my photos and we had similar "issues". It's because they don't see anything wrong .. we're always more particular than men! The photos still turned out great! Such a gorgeous dress, and love the linen-like material for summer. Perfect for an outdoor wedding! Would be such a staple dress that seems easy to dress up or down! This dress is so pretty! I need it in my life. Love this dress for a wedding! It's fun, but simple and comfortable. That's such a cute dress!--love the color! And girl, I feel ya on the bf taking pics...sometimes it can be so painful haha! That color is stunning on you! Love it all. This is the perfect look to wear to a wedding! Love the color of that dress! 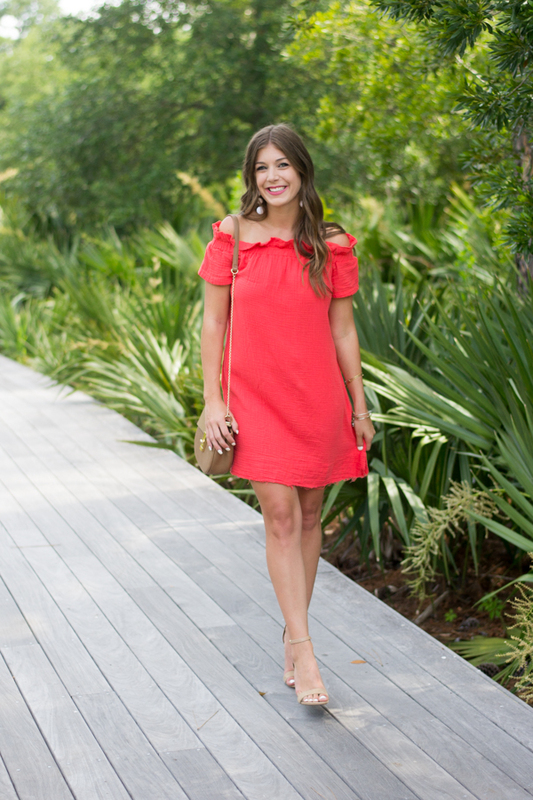 This is such a fun dress for a more casual summer wedding. I love love that color on you! So cute! I think a pop of color is always perfect for a wedding! Love love love this dress! I was looking at it when I was at anthro yesterday and was so close to buying it! I feel your pain with the hubby taking pics- I'm like, why didn't you tell me that stray hair was sticking way out?!?! Lol. Cute dress though! That color is GORGEOUS on you girlfriend!!! Def a perfect summer wedding dress! Very lovely photos! Actually, I like your website, so thank you. I have always wanted to recommend you the https://bellethemagazine.com/2018/04/10-wedding-songs-reception-playlist.html website. Here you can see billions of wedding photos, dress style examples and so on. So many creative ideas! 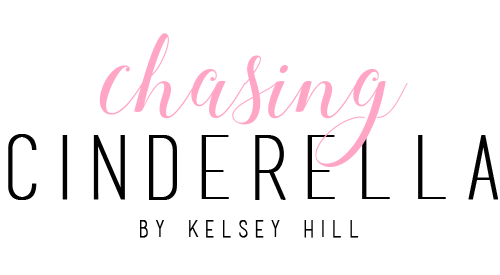 I have recommended the resource to all my friend who gets married because it really works. So nice and inspiring! But you have to click the link to make sure.